*Please note, this is NOT the adventure, this is the Battlemap supplement for the adventure. 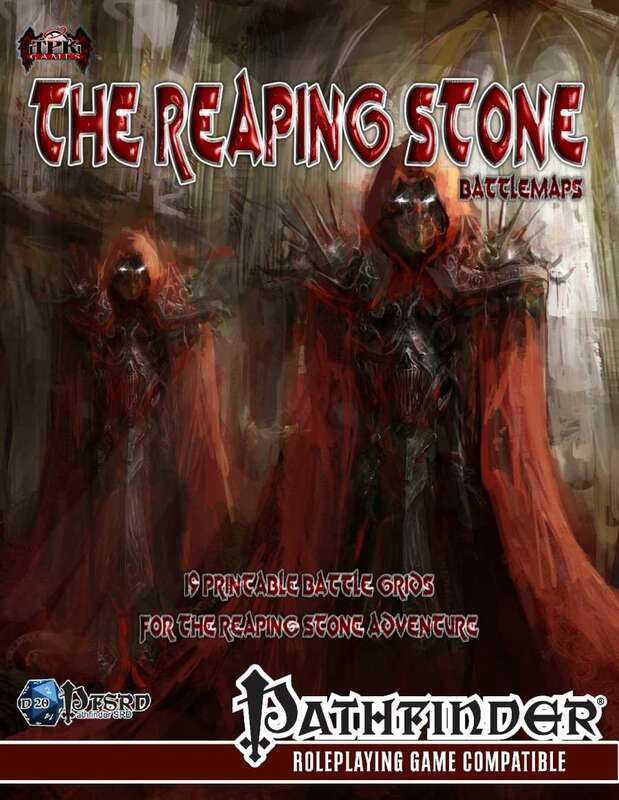 The Reaping Stone is as brutal as Rappan Athuk and as challenging and engaging as any published Adventure Path, with a good dose of old school carnage binding the lot together. Written by former 3-time RPG Superstar contestant and Top 4 finalist Top Phillips (co-author of The Ship of Fools and author of the upcoming Pathfinder Society adventure: The Hellknight’s Feast) with gorgeous cartography masterfully crafted by RPG Superstar finalist Richard Hunt and illustrated by the sensational artist Christopher Stoll, this adventure is an absolute treat for GMs and players alike. You can grab the adventure here! The Battlemaps are a 136 page PDF pack of EVERY encounter map, scaled perfectly for gameplay as 1” squares -- just print and play!